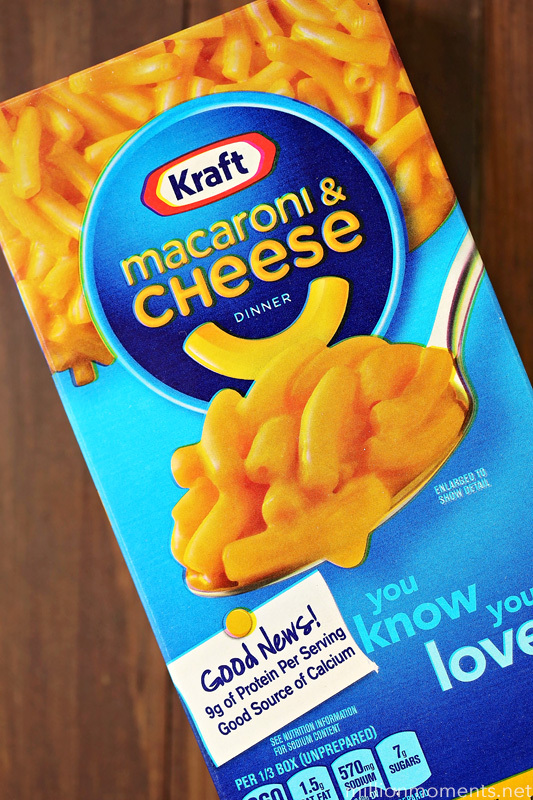 When I was growing up, KRAFT Macaroni & Cheese was a staple at meal time. I remember getting excited for dinner every time I saw my mom pull out the classic blue box, and now that I have kids of my own they love it just as much as I do. They ask for it every single week, but being the inventive foodie that I am I like to change things up at times. 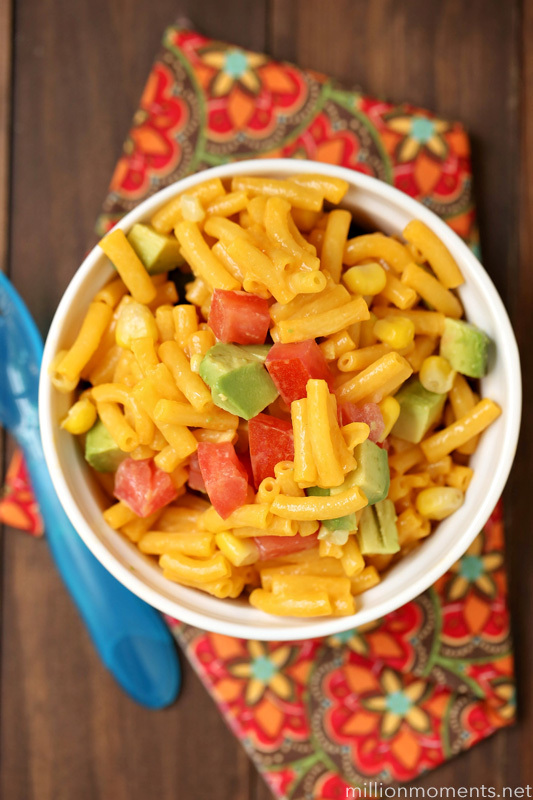 So, how do we dress up our KRAFT Macaroni & Cheese Dinner? 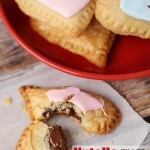 Check out these three super easy and fun recipe ideas, and get ready to enjoy the classic blue box in a whole new way! You know that I’ve been on a Mexican roll lately, and I thought I would round it out with something perfect for the kids. This one can be customized with any ingredients you like, and it is a great way to sneak in some veggies too! 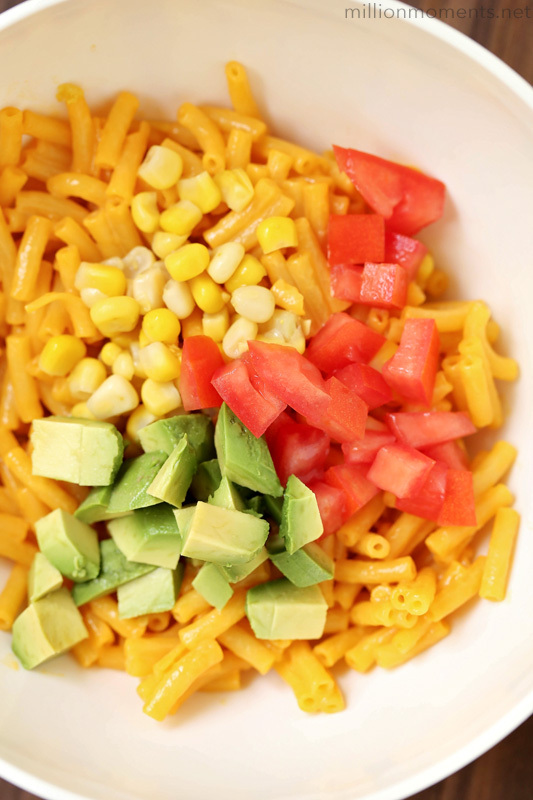 For this version, all you have to do is take one box of prepared KRAFT Macaroni & Cheese, throw in half a diced avocado, half a diced tomato, and 1/2 cup whole kernel sweet corn. Voila – you’ve got a revved up side dish perfect for your next Taco Tuesday! While this isn’t a meal in itself (proper serving size is 1 cup) it sure is my favorite part of dinner time! Feeling even more creative? 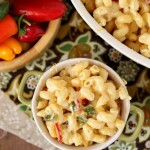 You can add black beans, cilantro, bell peppers, and SO much more for a truly unique mac and cheese that is bursting with flavor. If tacos aren’t your thing this next recipe is sure to get your tastebuds going! Spaghetti is always a favorite around here, so I thought I’d mix it up and make it a little cheesy. For this you will need prepared KRAFT Macaroni & Cheese, 1/2 cup marinara sauce, and just a touch of grated parmesan cheese. Mix it all up and serve with bread, veggies, or your choice of protein. Remember my mac and cheese grilled cheese recipe from a few months ago? 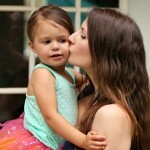 Well, here’s the kid version! 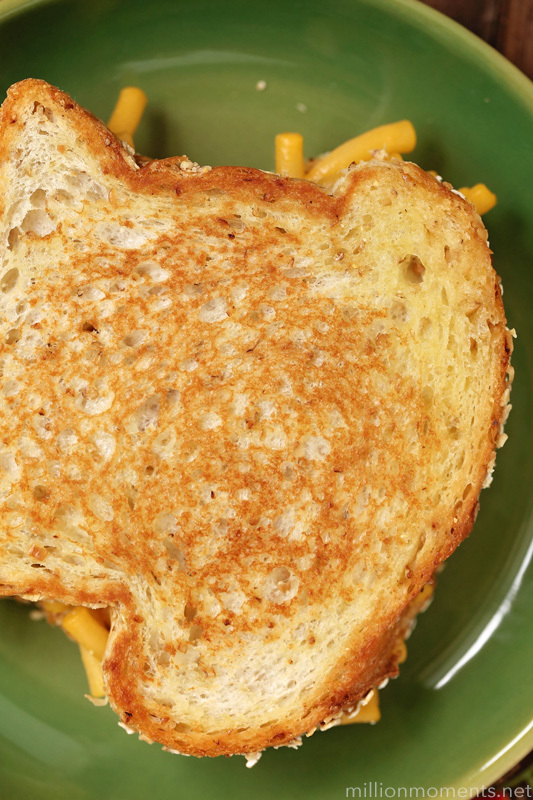 All kids love grilled cheese sandwiches, right? Mine sure do, and they also love mixing it up by using KRAFT Macaroni & Cheese as the star of the show! 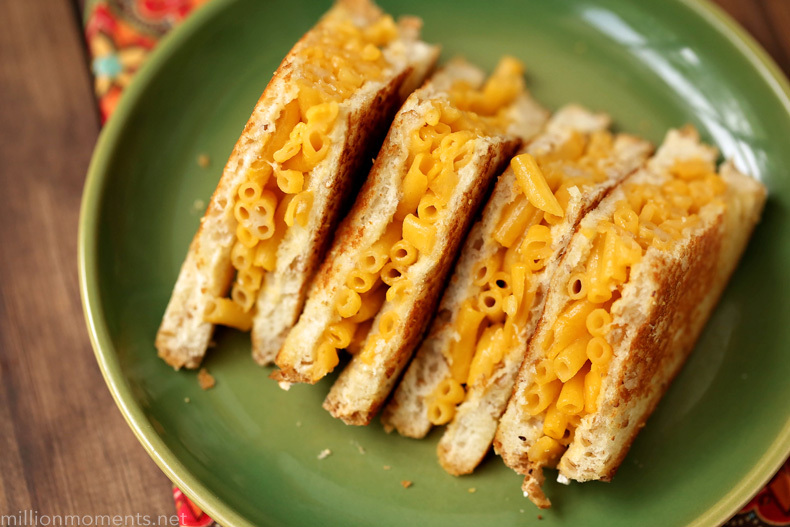 This dish calls for 1/3 cup prepared macaroni & cheese and two slices of whole wheat bread. All you do is spread a *tiny* bit of butter on each slice of bread, put the macaroni & cheese between the two and grill until golden brown. Delish? Of course it is! 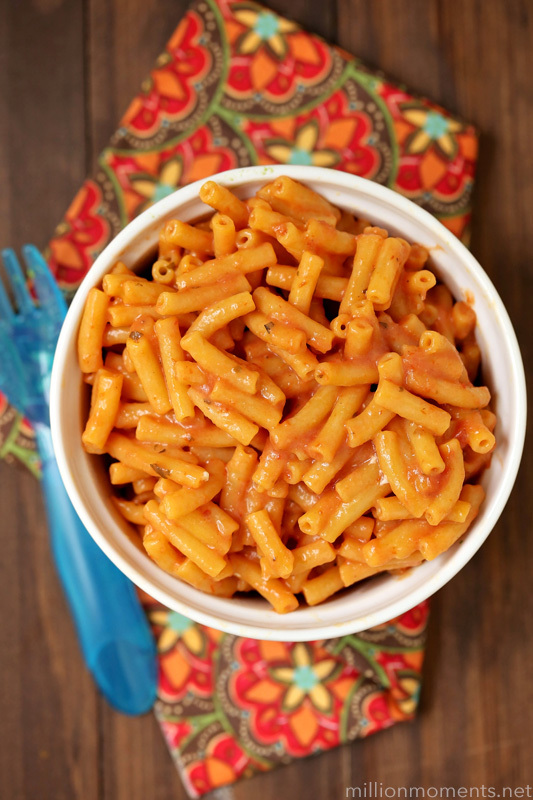 Serve with a side of fresh fruit and your littles are all set for a rock star meal time! You can even add tomatoes or bell peppers inside for extra flavor. When in doubt make it a sandwich, right? Because that’s how I roll. And it is delicious! 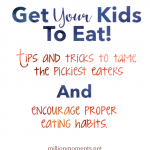 My kids love each one of these recipes, and I love that they can help me whip them up easily and with just one or two steps each. I can’t wait to do some more experimenting to see what other possibilities are out there for KRAFT Macaroni & Cheese next!